After a dozen books, what's still left to know about this best-selling humorist’s life? In a word: Plenty. David Sedaris. Photo by Ingrid Christie, ingridchristie.com. 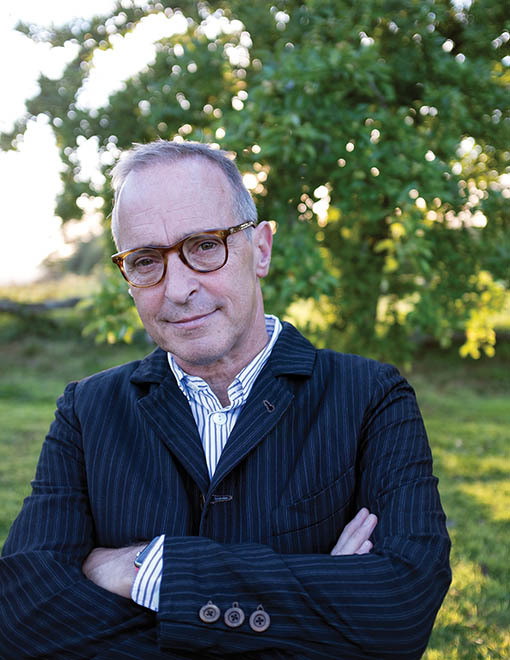 Is there a more popular humorist of our time than David Sedaris, the best-selling author and essayist whose stories about his family and travels have delighted audiences since his appearances in the early ’90s on NPR? The author of a dozen books, Sedaris released his latest, a book of recent short stories and essays titled Calypso, last month, but he has another book coming out in the next year—a volume of diary items, A Carnival of Snackery, which will recount Sedaris’ life from 2003 until the present and serves as follow-up to his acclaimed diary collection Theft by Finding. The author is also unique in that he reads his often hilarious, sometimes poignant stories in public, doing around 100 dates a year at theaters throughout North America, UK, the Europe, and Australia. Before a performance at Wolf Trap in Vienna, Virginia, the gifted humorist sat down with me to talk about his performing life, his writing career, and why you should never admit to getting an author’s work for free. 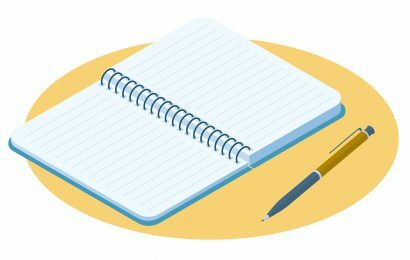 You’re a very disciplined writer, as your most recent book of diary items well demonstrates. 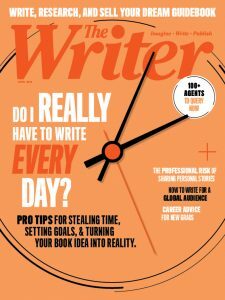 Have you always been that disciplined about your writing? Yes. When I started writing, I started writing every day. I sign books a lot, and I’ll meet people who say, “I want to be a writer.” And I’ll say, “Do you write every day?” And they say [dreamily], “No, when I get in the mood.” And I think, “Well, sorry, you need to wake up every day in the mood.” I still think about that. Just to see the joy on his face. Nothing would have made my father so happy. That’s what I think about when I listen to music. The other day, I was watching a television show, maybe it was Fargo, and a song of Lambert, Hendricks & Ross was on it. And I thought, “Why don’t I have any of their music on my computer?” I downloaded one of their albums, and it had Night in Tunisia on it. I was walking around Emerald Isle, I bet I listened to that song 30 times in a row that day, imagining it was me playing the saxophone and my father’s in the audience, and he would be so moved, and he would be so joyful. One thing that I admire about you is that you always want to pay for the work, whether it’s music or literature, and not just get it free somehow, which makes sense given what’s going on with books and authors. The culture of all content being available for free is getting pervasive. That’s been such a change in recent years. I think that there are 500 places online where you can get my book for free. My publisher will close one down and another one pops right up. A guy wrote me and said that he got a Kindle, and could I send him a list of books to read. I sent him a list, and then he said that, “I got all of them free online.” And I said, “What? I wouldn’t have sent you that list if I thought you were going to do that.” People have no problem doing that. Though I would say it’s a little unusual to tell the author himself. I just got an email from people who I offered to give free tickets to for a show in London. And they said, “We saw you at the BBC and that was free, and then you offered us free tickets to London, and then we got your books for free, and so we haven’t paid anything.” I wrote back, “You know, I would not have told me that. And I hope that maybe when you do come to a show in London, that would be a really good opportunity to buy my new book, and I’d be happy to sign it for you.” Why would they tell me that? 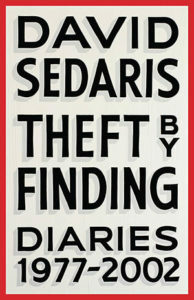 “Theft by Finding” by David Sedaris. The genre of memoir has exploded in the last decade or so. While working on your diaries, did you go through a period when you were reading diaries or memoirs? I always liked biographies, even when I was a kid. 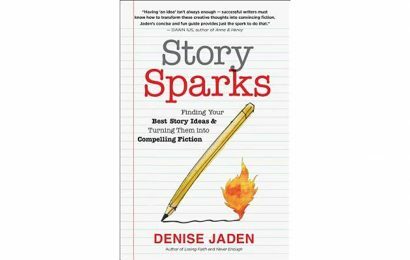 I love it when they’re a kid and they don’t know they’re going to be famous, and you’re saying to the book, “Don’t worry about it, you’re going to be famous.” They don’t know. They’re just chopping wood, they don’t know what’s in store for them. But it made me think, that could be me. And I don’t know it. I’m just chopping wood. What do I know? Well, it’s interesting, because I could say that I could write your biography, but everybody knows your story already. What’s left to tell? You don’t really know yourself. They could go to people around you. I talk about this agent I had in New York. He was old when I met him. We went out for lunch, and he said, “I was with Jerry Salinger, and we’re in the Village, and we’d go hear Billie Holiday and then…” The stories. “I’m representing Lillian Hellman because she’s doing this production of Little Foxes in Russia.” You’re a young man, and you’re with this man, and everyone knows his name, and he’s telling you these stories, and you don’t know that he’s going to be telling these stories over and over again. That’s my story about my agent. You could probably make that list yourself – the people you don’t want to be interviewed about yourself. I’m guessing we all have that list buried in our subconscious. Then there are people who you didn’t even think about. You’ve forgotten about them, but they remember you. When I first moved to New York, I did this reading, and there was this guy who read as well. It was nothing, really, what he read. And he came up to me and said, “So I heard you told so-and-so that you were the best one on stage that night.” And I thought, “Yeah, I was. But if you can’t see that, well, I don’t know what I could do for you. Did you really think…” But it does sound like something I would say – that we did the reading last night, and I was really the best. I don’t like to admit it, but I can hear myself. Well, you know the difference at this point. How do you prepare to read for a show like this, with thousands of people waiting for you? 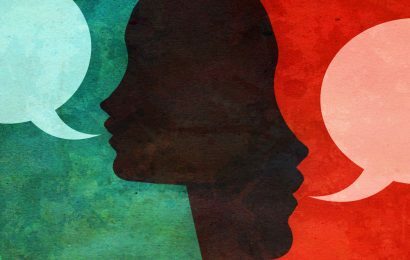 Do you isolate yourself? I think part of it is…you have to trust your instincts. You can put a playlist together but know well enough that when you get up there, I’m going to go with Plan B here. Don’t stick with Plan A just because you have it written down, because it’s not necessarily going to work every night. Lee Mergner is a contributing editor for JazzTimes and has interviewed hundreds of authors, musicians, filmmakers and artists.